‘Night of Blood’ – An Unofficial WFRP 1e/ Zweihänder Bestiary Conversion! On Saturday Oct 21st, we recorded a one-shot session for Night Of Blood on YouTube! 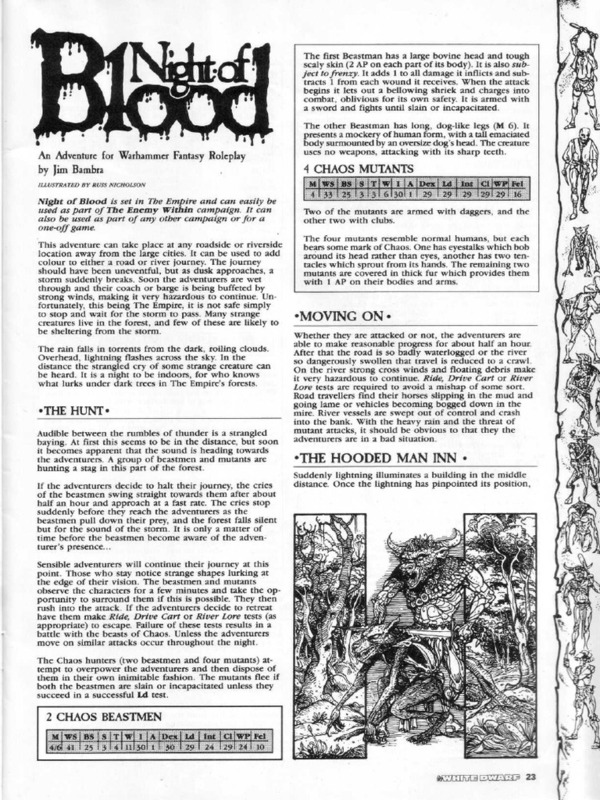 Night of Blood is an adventure set in the world of Warhammer Fantasy Roleplay, originally written by Jim Bambra and adapted to Zweihänder Grim & Perilous RPG.